Using just cold medicine, toxic chemicals, and an empty two-liter bottle, the technique is simple. 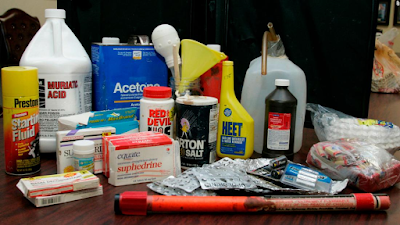 In the early 2010s a "shake and bake" method was devised for making meth. The rudimentary way of making meth required ingredients like drain cleaner, lithium batteries and pseudoephedrine — a decongestant in cold medications such as Sudafed. Addicts can cook their own meth, but with one misstep, the chemical reaction that occurs causes deadly explosions. When new laws were enacted to limit access to pseudoephedrine -- an allergy drug used in making meth -- the proliferation of small mobile labs waned. That didn't end the meth problem. Today cops are seizing meth that is purer, cheaper and in greater quantities than ever before, with most of it coming from south of the border. 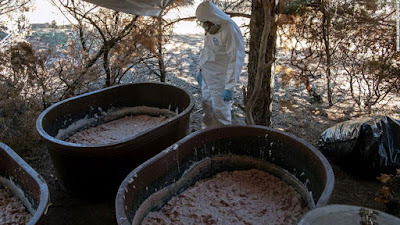 As it became more difficult and dangerous to produce meth in the United States, cartels recognized an opportunity to fill the void. 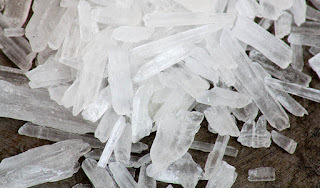 In 2012, the DEA was buying meth undercover off the streets for $1,100 an ounce. Today, agents are regularly getting ounces for just $250 to $450. The reason for the drop in prices is the industrial scale of production that the Mexican cartels have achieved.